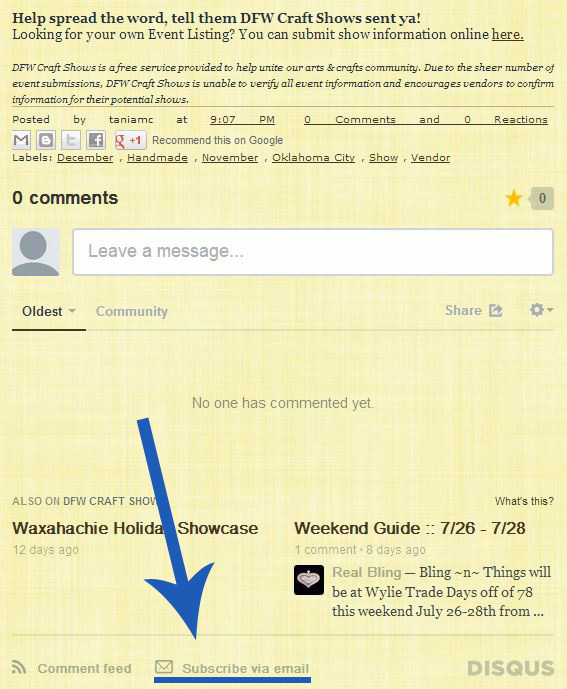 DFWCraftShows: Go ahead, comment away! can you comment on show setup and quality or will those comments be deleted? I have had a very hard time getting accurate comments about how shows are run, such that I've done some horrible ones as well as some that are wonderful. Hold onto that thought just a little while longer, Cari. I'm working on a system to handle that feedback specifically.